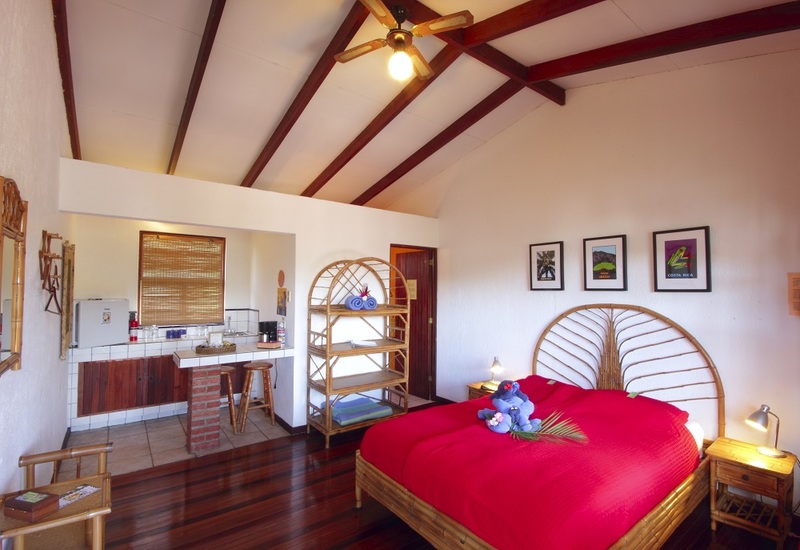 Cozy rooms each with a queen size bed with orthopedic 'Selther - Advanced Rest System' mattress, private hot water bath, ceiling fan and mini-bar. 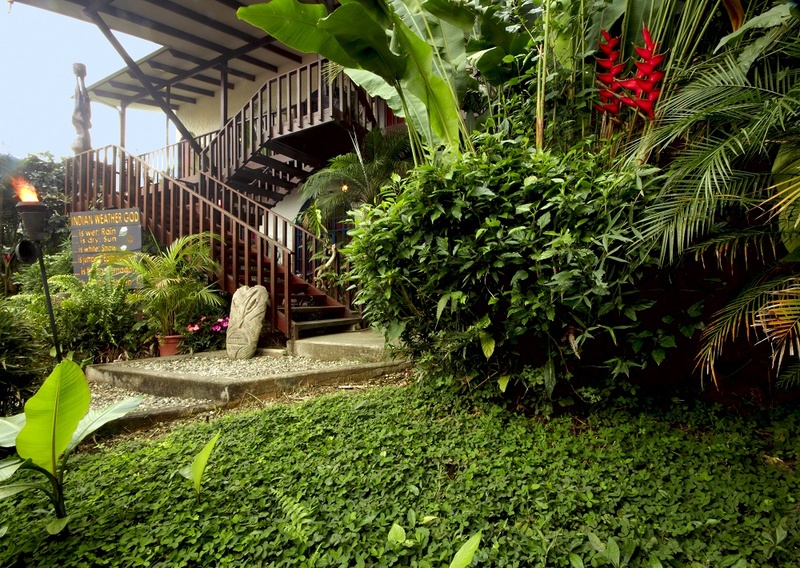 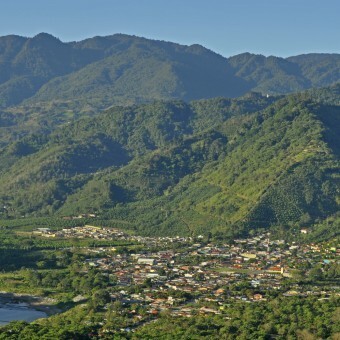 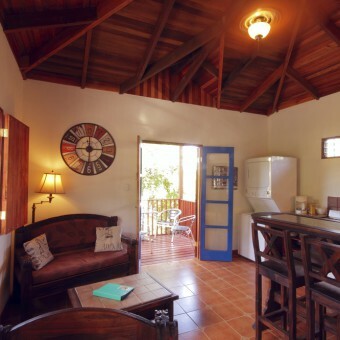 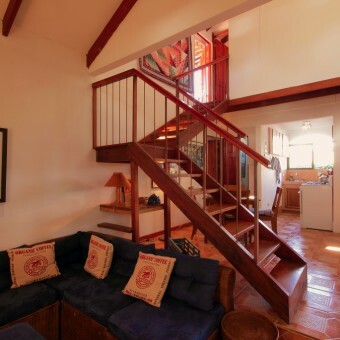 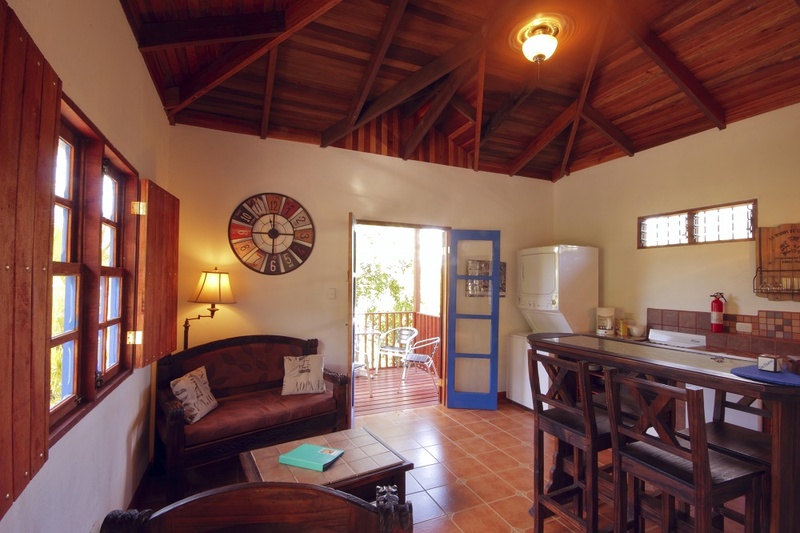 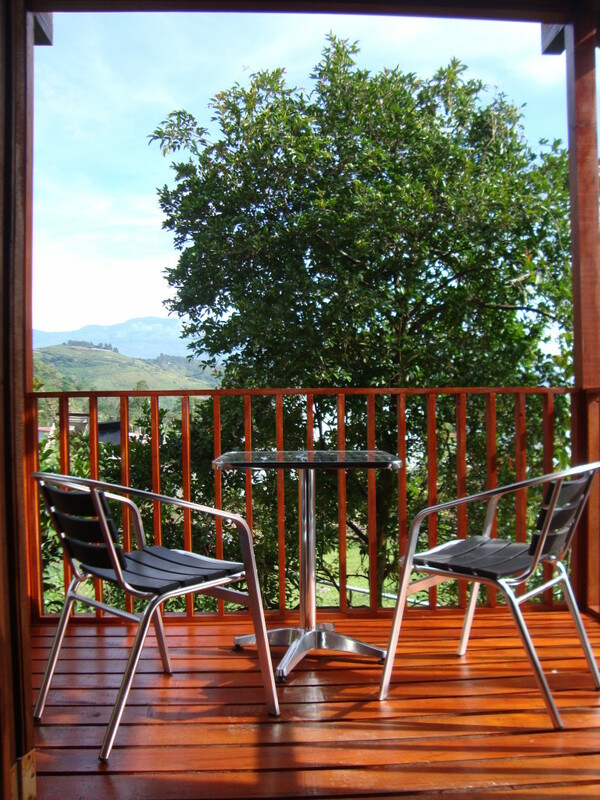 Upper floor rooms have shared balcony with a stunning view of IRAZU and recently active TURRIALBA Volcanoes; ground floor rooms have shared terrace with a nice garden view. 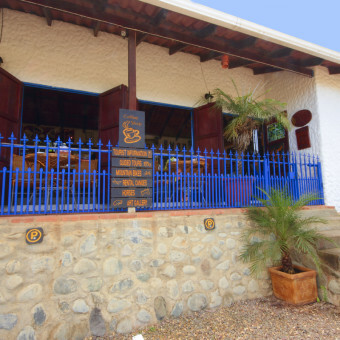 Beside Thermal Pools Orosi. 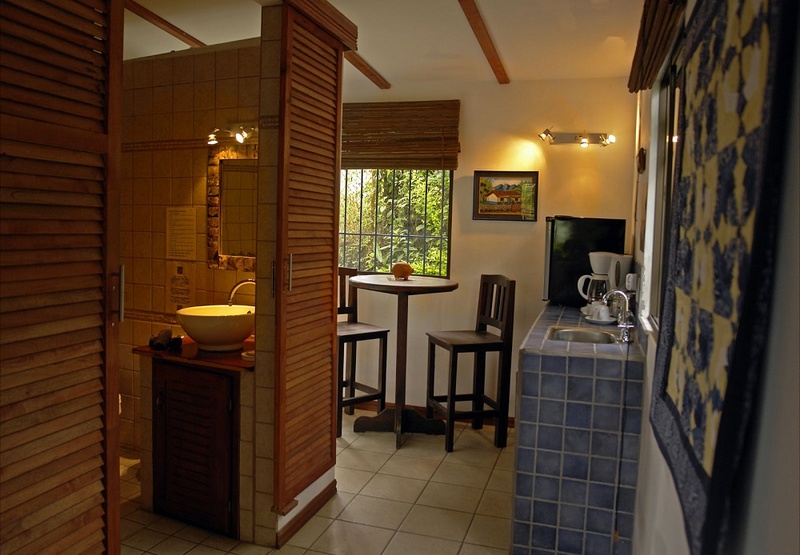 Free organic coffee with coffeemaker in your room. 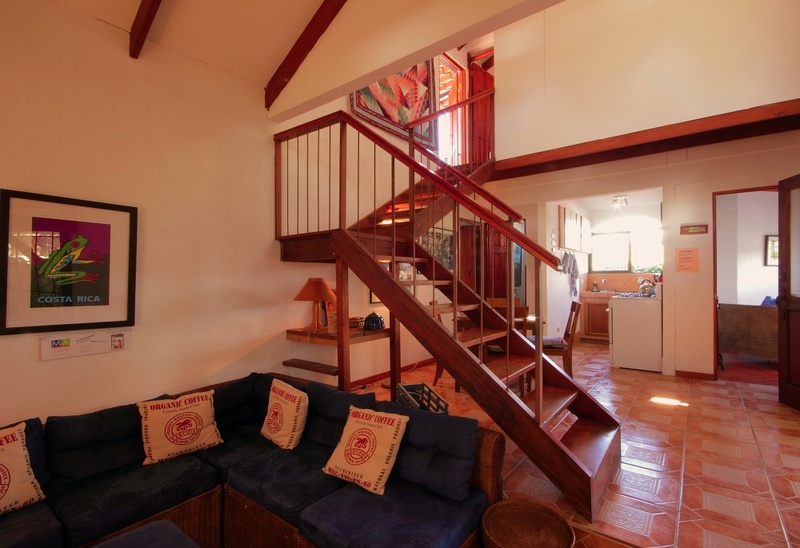 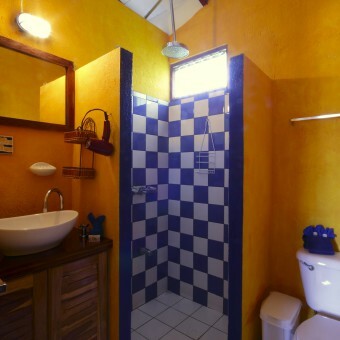 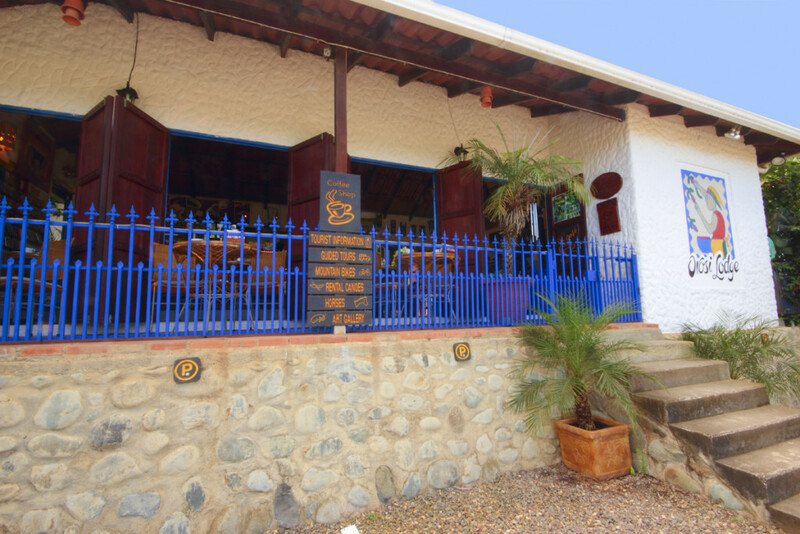 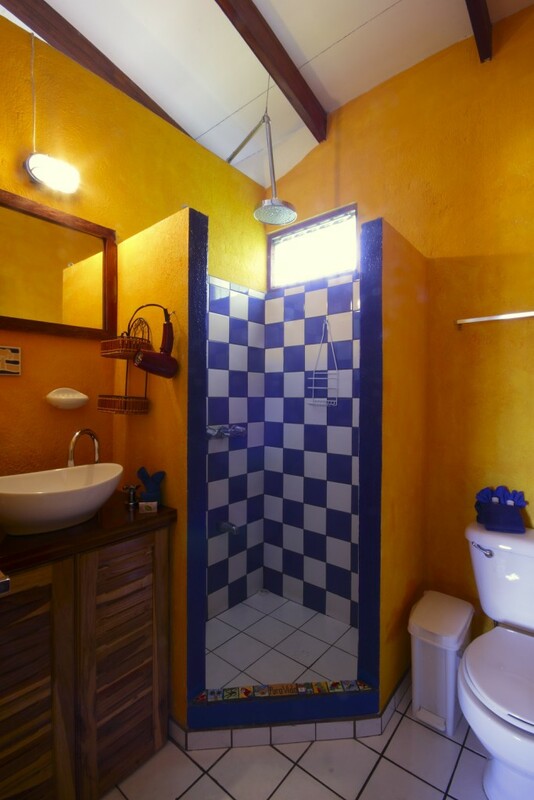 with an excellent location in the center of Orosi Village right next to the Thermal Pools. 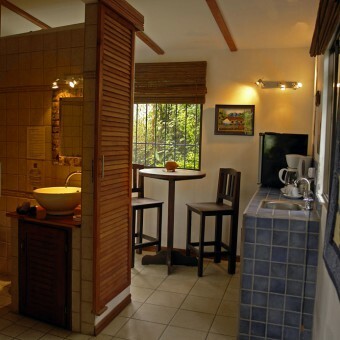 OROSI LODGE offers you cozy rooms; each with a queen size bed with orthopedic mattress, private hot water bath, ceiling fan, mini-bar and coffee maker. 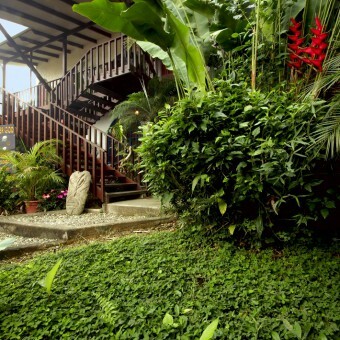 Upper floor rooms have shared balcony with a stunning view of IRAZU and recently active TURRIALBA volcanoes; ground floor rooms have shared terrace with a nice garden view. 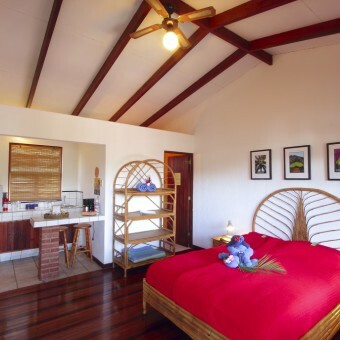 To be sure you get a good night's sleep, all our rooms now have "Selther - Advanced Rest System' mattresses ! 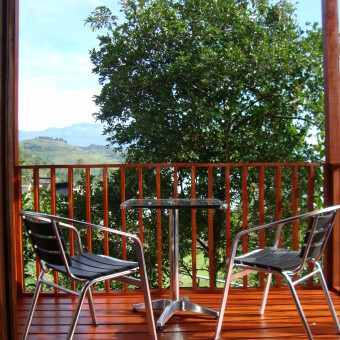 Free organic coffee with coffeemaker in your room ! 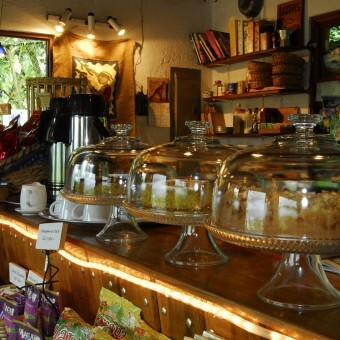 American or Continental Breakfasts are on the menu with fresh organic coffee roasted especially for Orosi Lodge. 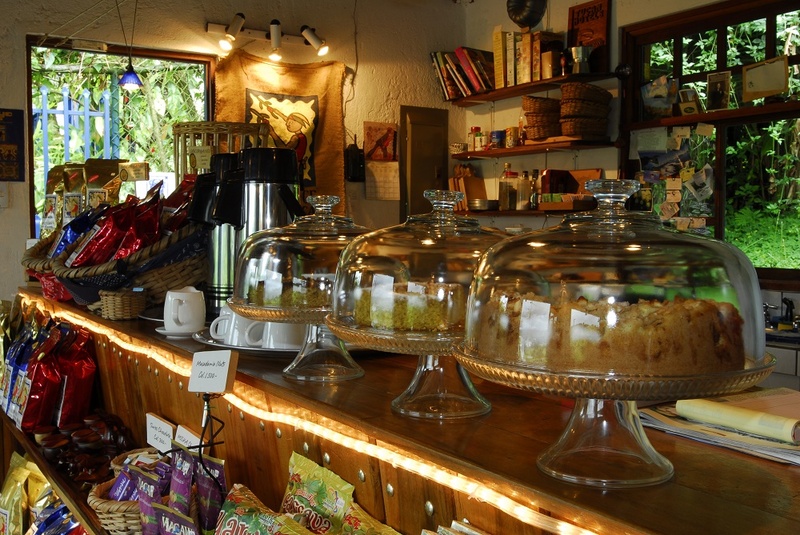 Enjoy a Cappuccino, Espresso, or Cafe au Lait with a piece of our famous homemade cakes. 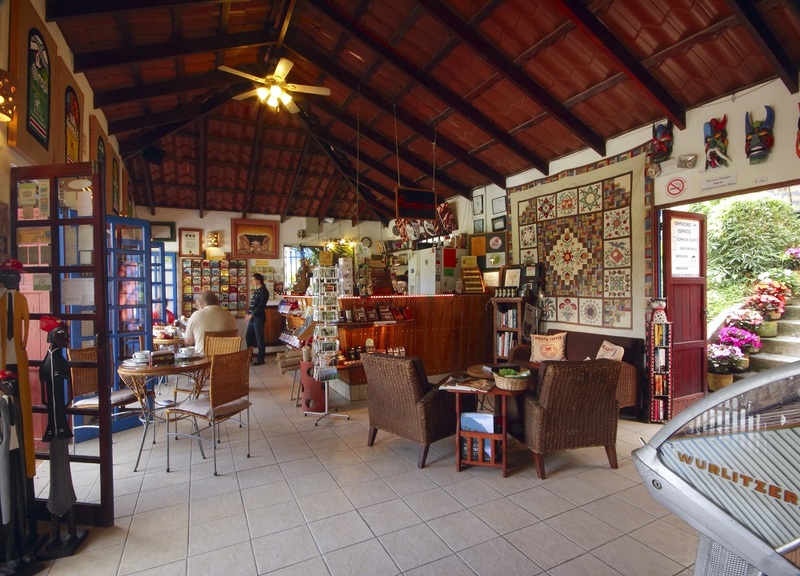 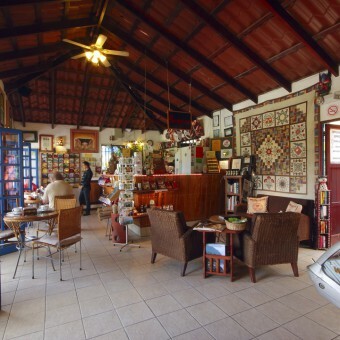 Decorated with paintings for sale by local artists, the Café is open from 7:00 am to 7:00 pm and provides free WIFI Internet access to our guests. 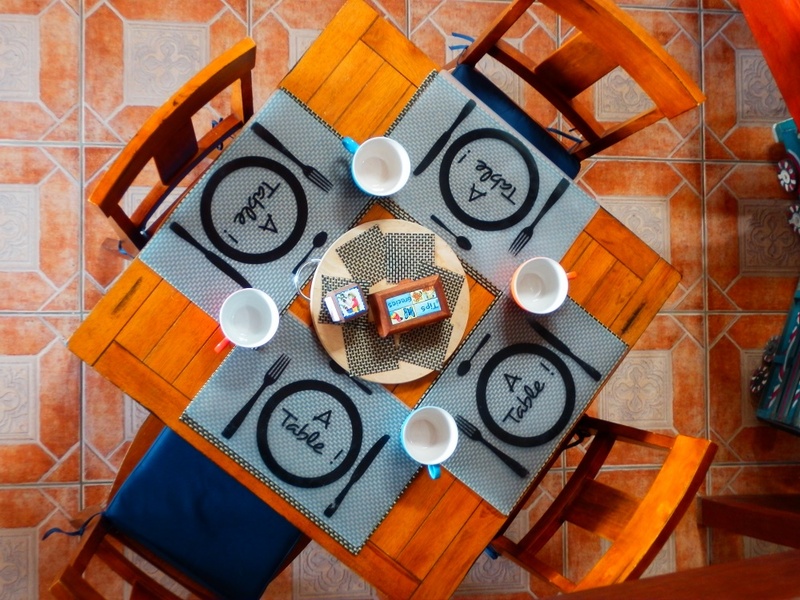 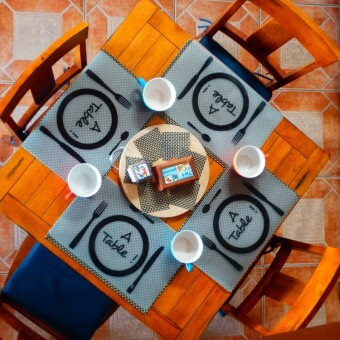 Our new Chalet - completely equipped with kitchen, living room, dining area, bathroom and roof terrace, accomodates up to 5 persons in two double and one single bed rooms. 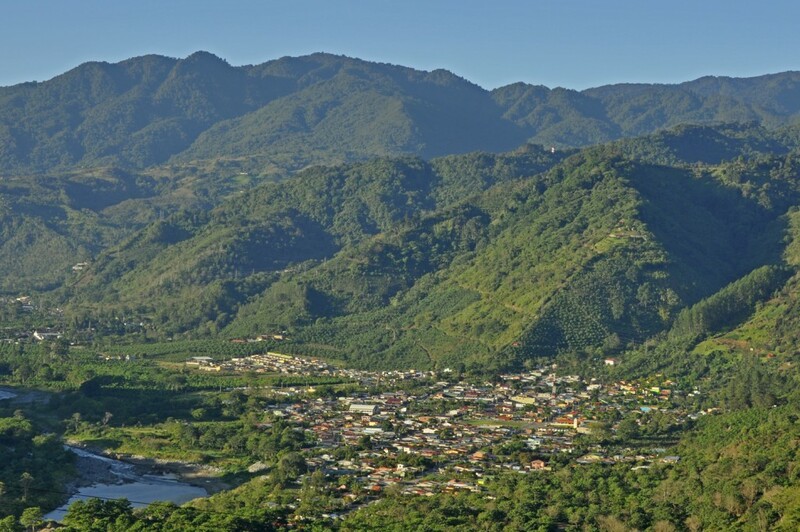 The view is breathtaking : you can see the two volcanoes Irazu - the highest in Costa Rica - and the recently active Turrialba.